Enter July's Contest - win $150! Get an extra 5% OFF - Join the knitlist! Can't Find it? Try searching! 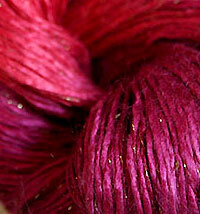 When people hear the phrase Mohair Yarn, they immediately think 'expensive'. Mohair has a reputation as a luxury fiber and it's true - there's nothing quite like a mohair sweater or scarf, (except, of course, cashmere!) and how great is it to have a handknitted Mohair Sweater that you didn't pay $800 dollars for? 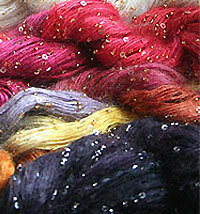 From our gorgeous Artyarns We have quite a few variations on the mohair yarn theme - from handpainted silk/mohair from artyarns, to slubby handspun mohair from Be Sweet Yarn. Be Sweet has two fabulous Mohair Boucles - one with a larger loop, the Be Sweet Boucle, and the other with an extra fine loop Be Sweet XF Mohair Boucle- both are incredibly soft - and can be brushed for a completely different look! In the mood for something Bling-y? 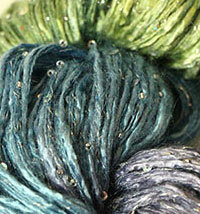 Check out the embellished yarns like the Artyarns Splash, which self patterns with sequins and beads, the Beaded Mohair with Sequins, or the Beaded rhapsody which is gorgeous with a touch of glam. Quantities are updated every 24 hours. Mohair is the wool from the angora goat. 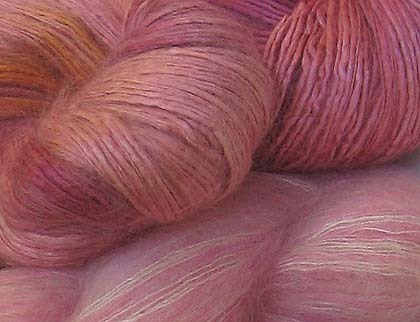 It is a silky, lusterous, versatile and durable fiber often used to make apparel such as, coats, suits, dresses, sweaters, accessories, loungewear, and socks. Miscellaneous items include: hair for dolls, beards for Santa Claus figures, blankets, upholstery, draperies, carpets and rugs. Kid Mohair fleece is the first shearing from a young angora goat. It is very fine and soft handling. Fineness ranges from 23-27 microns with a staple length of 100 to 150mm. Goatling is the second shearing from a goat and is also fine and soft. Fineness ranges from 27-30 microns with a staple length of 100-150mm. 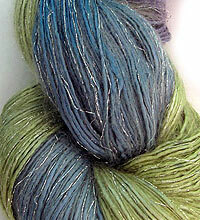 Mohair yarn - Where does it come from? 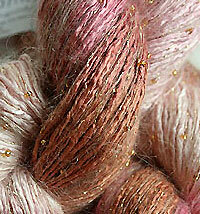 Where does mohair come from - from the Angora goat of course. This breed originated in the province of Ankara (Angora) in Turkey many centuries ago. Indeed, the word ?Mohair? comes from the Arabic word ?Muhayyar? which when translated means ?material from goat hair?. The first evidence of the angora goat dates back to the fourth millennium before Christ. Since that time the breed has been carefully refined so that today it yields a soft, fine yet extremely strong fibre perfect for pile fabrics. Angora goats are very temperature-sensitive animals which need to be reared under precise climactic conditions -- summers that are not too hot -- which would cause their pastures to dry out -- and winters that are not cold-- which would lead to a decimation of the herds through disease and lack of food. In its natural state the fur of the Angora goat is white, curly and shiny. A typical angora goat gives up to 4 kg of fleece per year in 2 shearings (once in summer, once in winter). 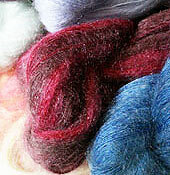 Mohair fleece is classified into 3 grades. The first and most expensive class is kid mohair. 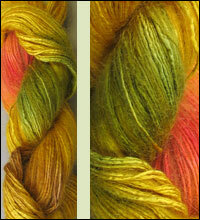 As you would expect, kid mohair is extremely soft and fine with a fibre thickness of 24-29 microns. The next class comes from young goats and usually has a fibre thickness of between 30-33 microns. 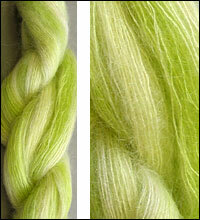 And finally the third class is fleece from adult goats with a thickness of 34-40 microns.